Strataflo foot valves incorporate the same quality and innovation of our check valves to ensure proper pump operation, saving many times their cost in longevity. 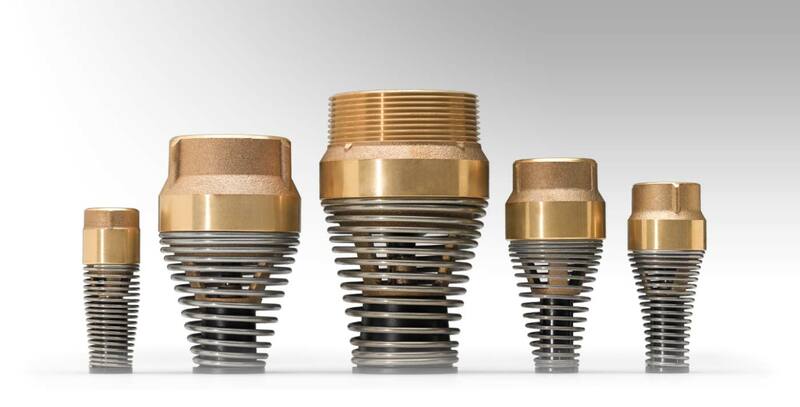 They are manufactured from a one-piece cast brass body and our unique strainer consisting of a helically wound stainless spring for durability and corrosion resistance. This strainer is self-cleaning, because pump operation causes continuous motion of the spring coil. Vertically oriented, they require no springs which reduces flow restriction and loss of head. Conical rubber poppets are fully molded around a solid steel insert, which makes the seal more durable than with O-rings.